We don’t listen to the radio that much in my house. I blame this entirely on the lack of beautiful radios, rather than my penchant for trashy intellectually stimulating TV programs. 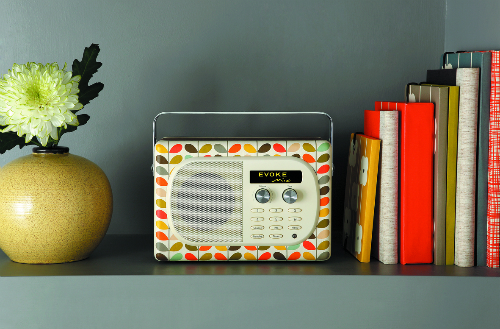 This could all change now with PURE‘s collaboration with Orla Kiely in creating a new DAB radio. The DAB radio, based on the Evoke Mio style, features one of Orla Kiely’s famous Stem Print designs in a leather effect on the front and back, and a wooden section sandwiched in-between. The result is a radio that wouldn’t look out-of-place in an episode of Mad Men. I was lucky enough to meet Orla Kiely and take home one of the EVOKE Mio by Orla Kiely radios last week, and I’m pretty smitten. The radio comes with iPod/MP3 connectivity, 30 preset radio stations and an energy-saving function for the eco-friendly. Although Orla admitted there are no plans to extend the style to other electronics quite yet, I’m quietly hoping they’ll bring out a range of pretty vacuum cleaners, kettles and toasters. The EVOKE Mio by Orla Kiely will be available from John Lewis in early November, and available elsewhere from March 2011, for £149.99. Love it? Hate it? Bored of designer/tech collaborations? 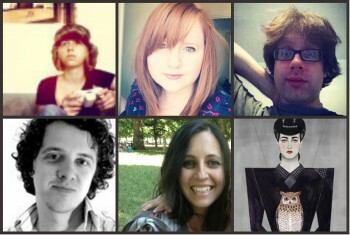 More radios on Dork Adore: Students redesign iconic PURE radios. I love this! I listen to the radio a LOT (God bless you, Radio Four!) and would love a pretty digital one. My current number is one of first digi radios to be produced and although perfectly servicable, ain't exactly gorgeous.